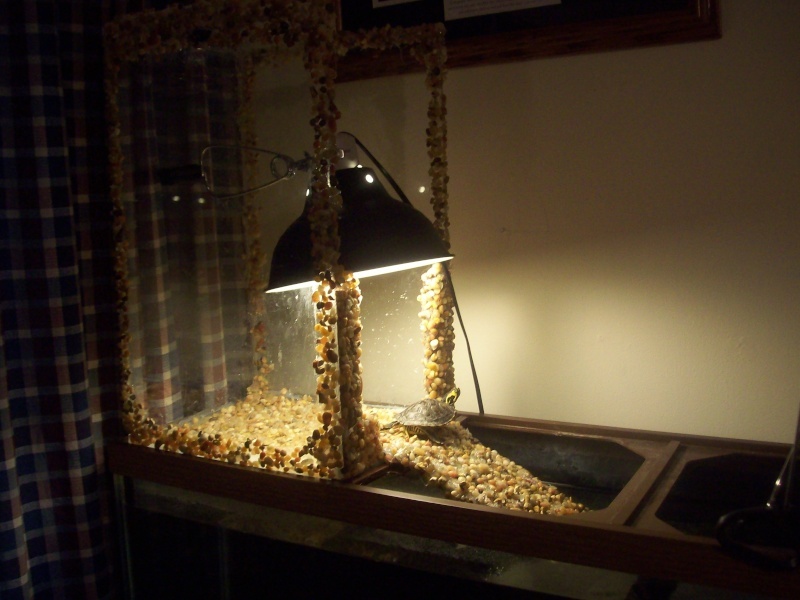 Turn an unused or broken aquarium tank into a turtle basking area! Place the aquarium tank on its side and use aquarium silicone to decorate the tank with rocks, beads or other decor. Attach a ramp to the tank opening, cover the ramp with matching rocks and hang a light over the basking area.